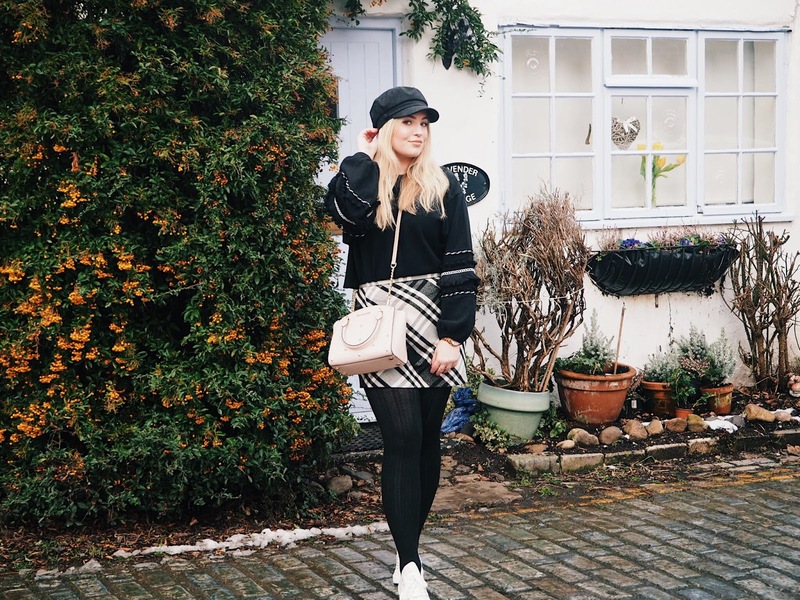 Christmas can be a really hectic time and sometimes, especially if your jobs still go on around and through the holidays like me, it can be hard to take it all in! So I've come up with a little post including all the things that have been helping me get in the festive mood. First of all, I have to mention my new pyjamas! They're from Topshop and you best believe I've been living in them since they arrived. The top has Buddy the Elf on it and the writing 'Omg SANTA!' and on the back it says 'Santa's coming, I know him!' I just love them. The bottoms are a legging style which I find super cosy and have Elf related images on them such as syrup and candy canes. I also love this gingerbread man mug I got from Primark for just £2! It's fab for hot chocolates. This year was the year I finally got my own mini tree. I went with a white one from Paperchase so it would match my room well and I think it looks quite chic! I got some fairy lights to go around it from Primark for £2.50 and a star and baubles from Poundworld which cost (you guessed it) just £1 each! I love how cute it looks and it was really budget friendly. It gives all the cosy vibes. I also got some festive bedding for my room. This double set was just £11 from my local Boyes, bargain! I love that it's festive yet still quite simple and it's also reversible so on the other side the duvet and pillows are white with a red pattern. And finally I got my nails done today! I went to Andrea at The Little Nail House last year for Christmas nails which you can read all about here, and this year I just had to go back for more. I love this year's designs even more than last year's, they're literally a Christmas explosion and I can't stop admiring them. So those are a few things getting me in the festive spirit this year, what about you? What's your favourite thing to make you feel cosy and Christmassy? I love everything here. Those pjs are sooo cute and perfect for Christmas Eve movie night! I myself have been considering getting my nails done and you have just confirmed it! 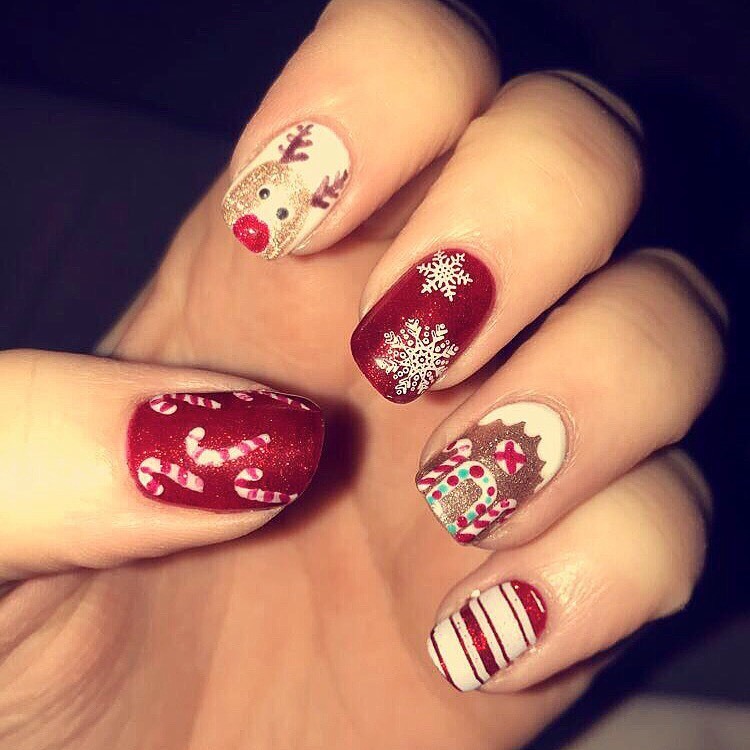 Your nails look amazing and so festive!